The Banyan is a Chennai based NGO working for persons with mental health concerns, offering a range of services through its different projects. The Banyan, in association with the Corporation of Chennai and the HCL Technologies foundation runs a shelter for homeless men with psychosocial disabilities in Santhome, Chennai. And this is where we need your help! 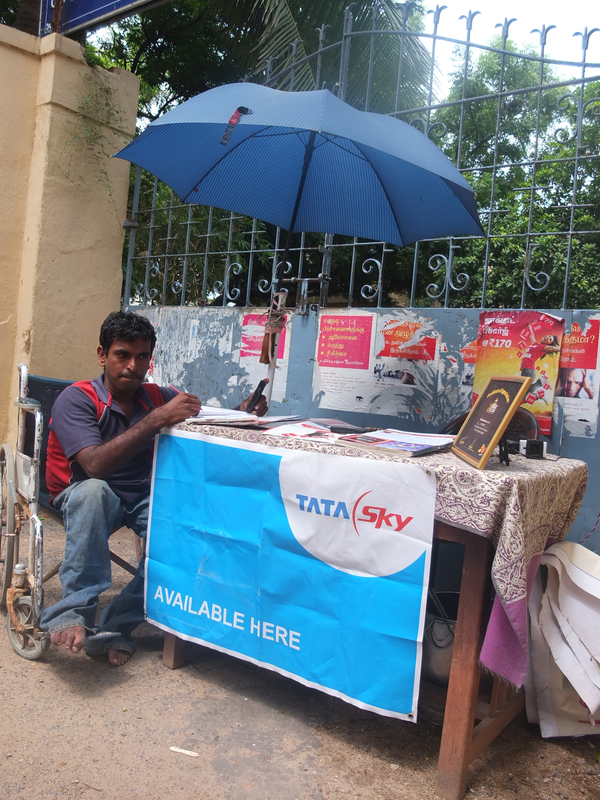 Naushad, a resident of the shelter for the last year, has had to endure several hardships to set up his little ‘Recharge Booth’ just outside the shelter. Over the last few months, this booth that Naushad single handedly runs has become the neighborhood hub for all kinds of phone and set-top box recharge. Noticing his keen business acumen, we at the Banyan pushed Naushad to move out of his comfort zone and urged him to realize his potential. In a matter of two weeks, Naushad has found a shop space that he would like to rent, sourced a broken down photo-copier (that needs repair), and is now ready to take on new challenges.